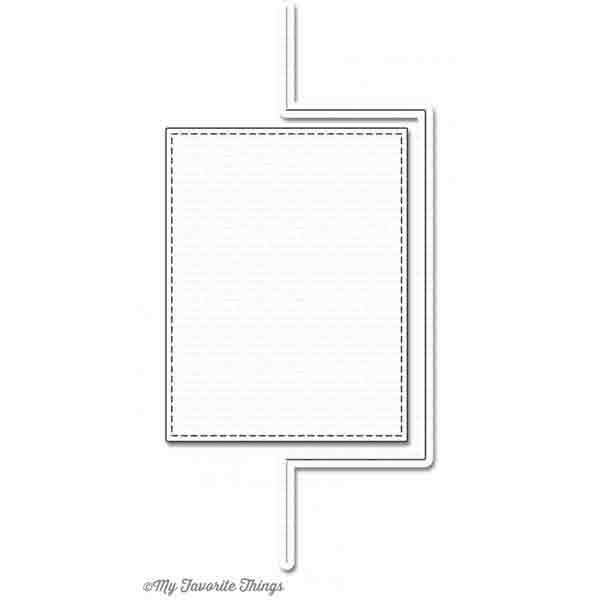 Flop Card – Rectangle Die-namics by My Favorite Things. 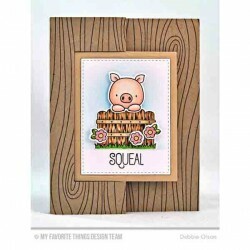 It will give your designs a fun interactive feel! This die can be laid along a card’s score line to turn a plain rectangle into a shaped card with a half rectangle popping out of the top of the card edge. 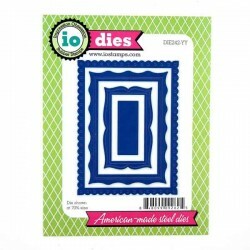 You can also lay it halfway between the center card fold line and the edge of the card front to cut a half shape. 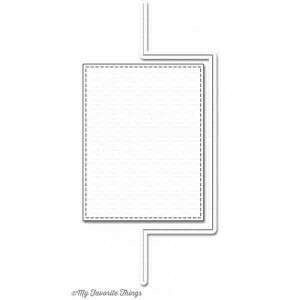 The front of the card will feature the front folded halfway over, but when you pull the flap to the left, the shaped component will flop over revealing the backside. 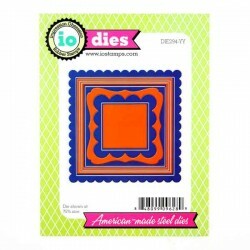 This Die-namics comes with a stitched rectangle that nests within the shape on the card front. It’s the perfect spot for a sentiment or any image. 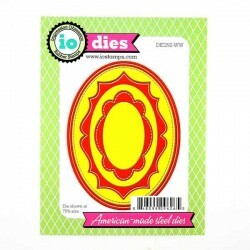 American made line of steel dies.